In 2012, we invited the German duo of street artists to Lexington to create 2 murals. 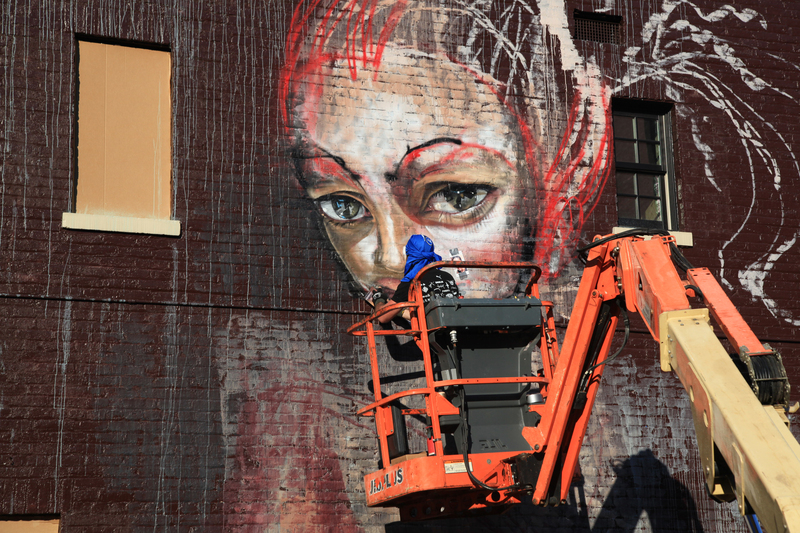 Herakut's visit fueled Lexington's love for street art. Bringing Herakut to Lexington resulted in two great murals for our city--look for them on Short Street, across from the Farmers' Market, and at the intersection of North Limestone Avenue and Sixth Street! Hera signs Herakut's first Lexington mural!